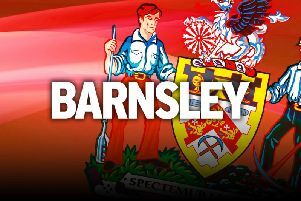 Barnsley are prepared to come up against League One's “team of the hour” as they head to Luton for a blockbusting New Year's Day clash at the top of the division. The Reds made it three wins from three in the festive schedule when they beat Charlton on Saturday to climb up to fourth, six points behind the Hatters. Daniel Stendel's men have come up against Portsmouth, Peterborough and the Addicks in their last four games and a return of seven points highlights their promotion credentials. But the trip to Kenilworth Road is perhaps their biggest test, owing to Luton's fine form. The Hatters have won 10 of their last 12 league games since their defeat at Oakwell in October's return fixture, drawing the other two. It is the standout fixture of the division and Stendel knows the size of the task. “I think we are happy that we beat Charlton and we enjoyed it,” he said. Stendel is enjoying his first taste of festive football, having won all of their games so far. He does not claim to know the secret, though, just like he cannot explain his side's back-to-back defeats earlier in December. “Sometimes you cannot explain,” he added. “I cannot explain why we didn't win the games before. “We played well at Sunderland, we lost that game, Wycombe we lost. It is hard sometimes, all teams have the same situations. Kieffer Moore should be back at Kenilworth Road after the prolific striker missed the last two games, with a virus and then a back problem. Moore saw a chiropractor at the end of last week and was only kept out of the Charlton game as a precaution. Daniel Pinillos was limping at the end of the match after being the victim of Chris Solly's tackle, which saw him dismissed. Stendel is hoping the left-back will be fit to play.